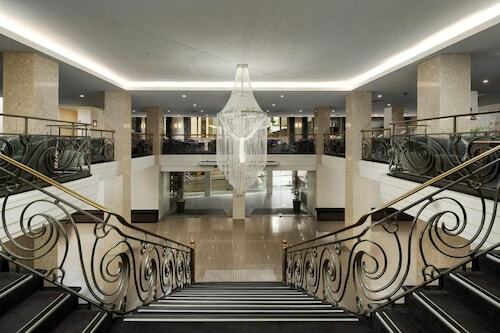 Which hotels are closest to the Melbourne airport? 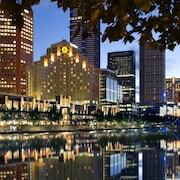 Can you find accommodation in popular areas of Melbourne? 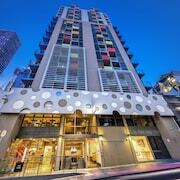 Where to stay near top Melbourne attractions? What kind of hotels are in Melbourne? 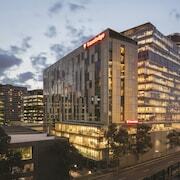 Which hotel chains are in Melbourne? 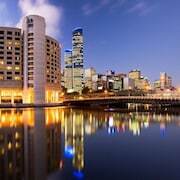 Families will find kid-friendly activities in Melbourne, and visitors give high marks for the shopping, renowned art, and fascinating museums. Tourists who journey to this vibrant city can discover its architecture, restaurants, and theaters. 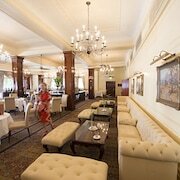 Top sights in the city include Melbourne Cricket Ground, St. Kilda Beach, and Bourke Street Mall. 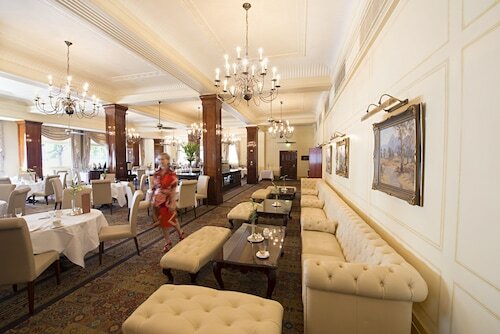 Known for its art, museums, and theaters, the city's cultural venues include National Gallery of Victoria, Melbourne Museum, and The Butterfly Club. Families come for attractions such as SEA LIFE Melbourne, Melbourne Zoo, and Puffing Billy Steam Train. The city's natural beauty is on display at St. Kilda Beach, Royal Botanic Gardens, and Luna Park. 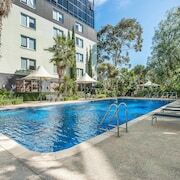 Bungunyah Apartments - With a stay at this 4-star apartment, guests can enjoy access to free parking and a library, along with an in-room kitchen. 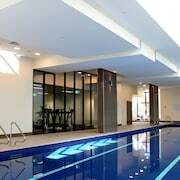 It's a favorite with Expedia travelers for its helpful staff. Eagle Hammer Cottages - This 4.5-star cottage features free breakfast, free WiFi, and free parking. Arcadia Cottages - With a stay at this 4.5-star cottage, guests can enjoy access to free breakfast and free parking, along with an in-room kitchen. Other favorite sights in Melbourne include Melbourne Cricket Ground, Bourke Street Mall, and Melbourne Central. With so many choices for transportation, seeing all of Melbourne is simple. You can access metro transit at Flagstaff Station, Melbourne Central Station, and Flinders Street Station. If you'd like to explore more of the area, hop aboard a train from Southern Cross Station, Showgrounds Station, or Spotswood Station. 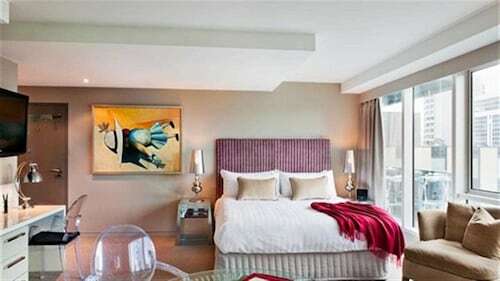 Melbourne has a smorgasbord of accommodation options. 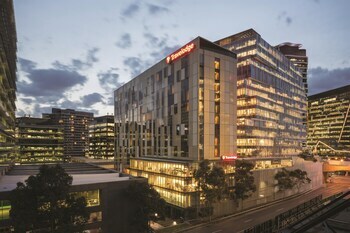 Hotels in the Melbourne central business district seem to reach for the sky, while seaside guest houses offer a peaceful retreat. 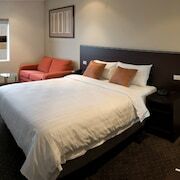 Melbourne accommodation in every price range and style is available for booking right here on Expedia.com.au today. 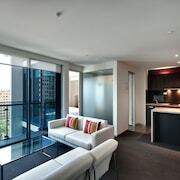 Our travel experts have assembled the best Melbourne serviced apartments, budget-friendly motels, and more. You can fly into Melbourne via the Melbourne Airport (MEL), which is one of the busiest airports in all of Australia and a gateway to southern Victoria. Once in the city, you can purchase a myki card to get around on local trams, buses, and trains. Rent a car right here on Expedia.com.au if you want to enjoy more travel freedom while you’re in town. From family holidays to city adventures with friends, Melbourne is a gem for any traveller. 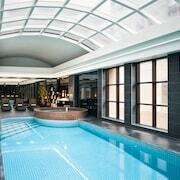 Make your holiday to this Victoria city even better with a stay at one of the top Melbourne hotels. 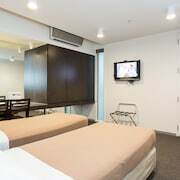 Whether you want to retire at an out-of-the-way waterside bungalow or one of the most convenient Melbourne airport hotels, Expedia.com.au has the hotel to meet your needs. Our passion for travel means we have tracked down the best accommodation deals for travellers just like you. 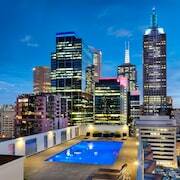 What are the most popular hotels in Melbourne? 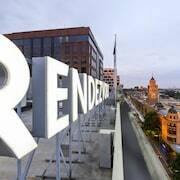 Are there hotels in cities near Melbourne? Explore Sydney with Expedia’s Travel Guides to find the best last minute hotels, cars, Melbourne holidays and more!